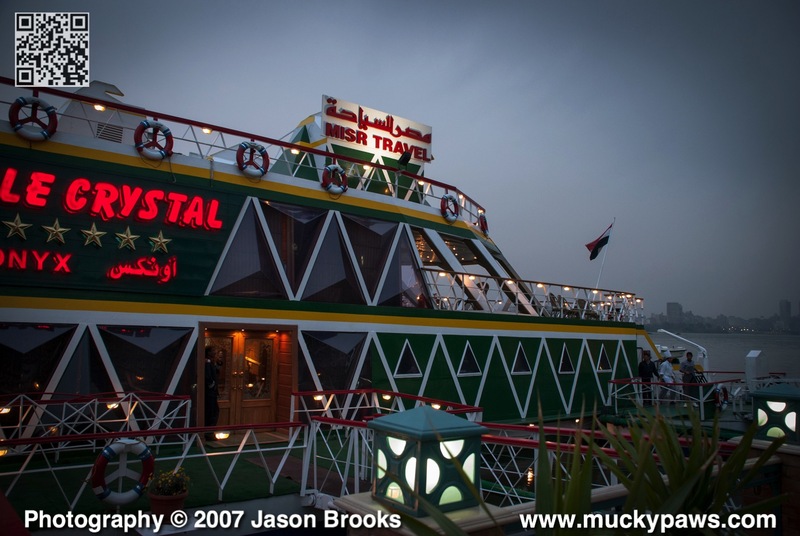 You can’t visit Cairo without taking a trip on a boat down the River Nile. The waters are not as clear and sparkling as they may have been 4,000 years ago, the aroma is somewhat pungent as years of pollution have entered the river, but if you have the resources take the plunge and book a boat. Like most boat tours it starts of with a meal followed by entertainment. If you read my previous post, take care eating Salads and Cold Meats, I think this is where I picked up my five week souvenir! Once the meal is complete the entertainment starts. Here’s a few pictures taken of the Belly Dancer and the Whirling Dervish. I was in two minds about processing these pictures, whether they work better in Black and White or Colour. Maybe I’ll post a new set as black and white and let you tell me what you think. Some of the photo’s are a tad grainy, I decided to shoot with a higher ISO setting and not use the inbuilt flash as I felt this would give a better overall picture. At this point I didn’t own an off camera flash. Although it’s not immediately obvious here, and in fact I didn’t notice until looking at the photo in more detail, our Belly Dancer was wearing a body stocking, I don’t know if that’s a requirement in Egypt? I didn’t have a video camera with me, but he was fast and very entertaining in my opinion, he even did the rounds at the table to talk to the guests, and of course a photo opportunity that you are unable to refuse it seems, but all good fun.